Located in Appleton, Wisconsin is where New York style pizzeria is brought to the Wisconsinites. The story of San Rocco’s Pizza⠂Wings⠂Subs begins 40 miles southeast of Rome, Italy on the hilltop commune of Patrica in the Province of Frosinone. This mountain village dates to the Roman age. One of it’s hilltops is mentioned in Dante’s Inferno. The area is known for it’s rustic cuisine and use of fresh ingredients. San Rocco is the Patron Saint. He cared for and healed the sick. When he himself was taken ill he was kept alive by a stray dog who fed him bread. He is the Patron Saint of dogs and those wrongly accused. His Feast Day of August 16th holds the community together and brings back residents who have moved away to find work in the rest of Italy and as far as the United States. San Rocco’s makes New York style round pizzas in slices, 14”, and 18”. Also, whole or half sheet sizes with a Sicilian style thick crust are available which are excellent for parties. The family dough recipe, baked in a rebuilt 1953 650 degree stone deck pizza oven, produces a light, and chewy crust with just the right amount of crisp on the bottom. Take any pizza and pair it with an order of our original Buffalo Chicken Wings for a perfect combination. Specialty pizzas only found at San Rocco’s are our White Pizza, Meat Treat and the San Rocco. 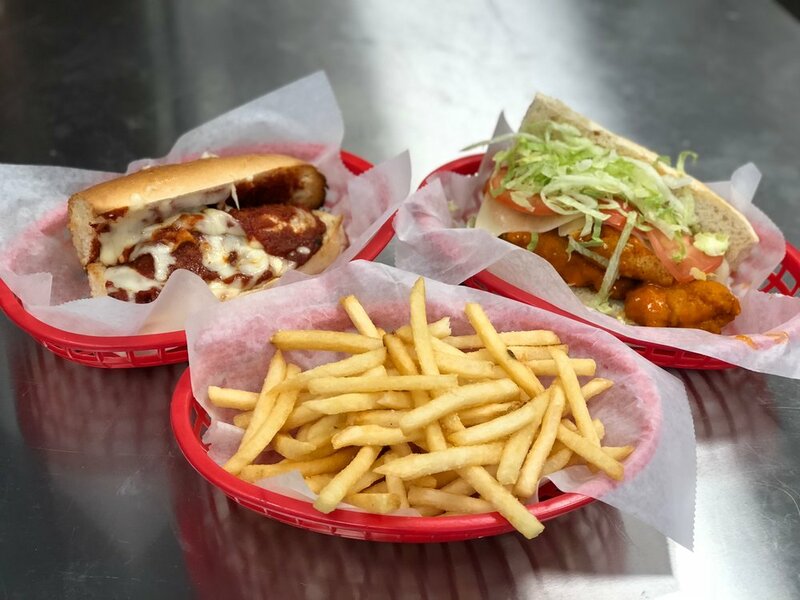 Along with our one-of-a-kind pizzas, the Chicken Finger, Royal & Imperial subs sandwiches are all Buffalo originals that are must tries! However, the customer’s favorite sub sandwich is the Meatball Sub. San Rocco’s grinds and blends the meat in house using our Sicilian Nonna’s secret recipe that is 120 years old! San Rocco’s brings that sense of community born in Patrica and perfected in the local Pizza shops of Buffalo to Appleton. 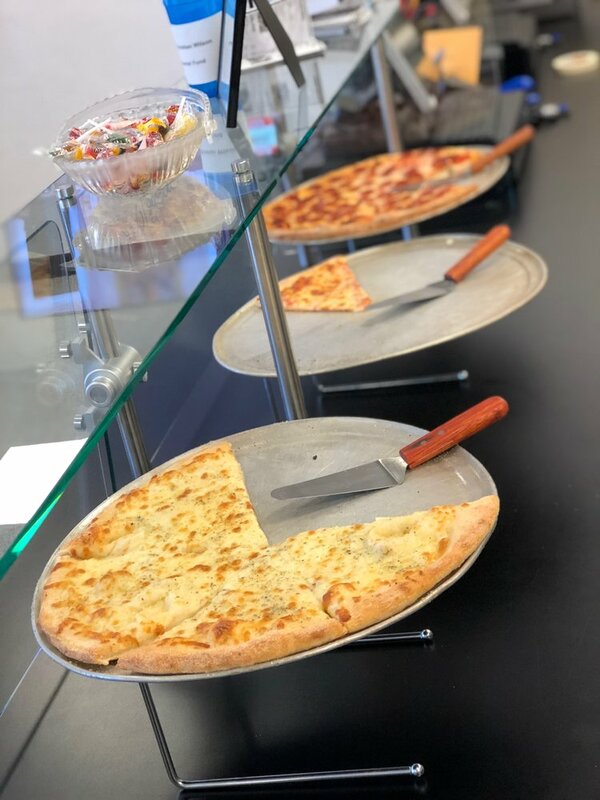 Eat In, Take Out or Delivery: everyone is welcome to join us for Lunch, after School or Dinner, with friends and family to try our Italian specialties you won’t find anywhere else. Be sure to vote for us once a day! Starting now till April 14th! Thank you! Don't forget that San Roccos is open late starting tonight through Sunday! Be sure to keep up with March Madness at Sam Rocco's!! We will have the games on our TV'S! All subs come on a toasted roll with Provolone or American Cheese, Lettuce, Tomato and Mayonnaise and/ or San Rocco's Oil Dressing unless noted. Onions, Peppers, Pepperonici, or non-toasted roll on request. We do deliver, but coming to our store is just as amazing because of the friendly staff and incredible owners. 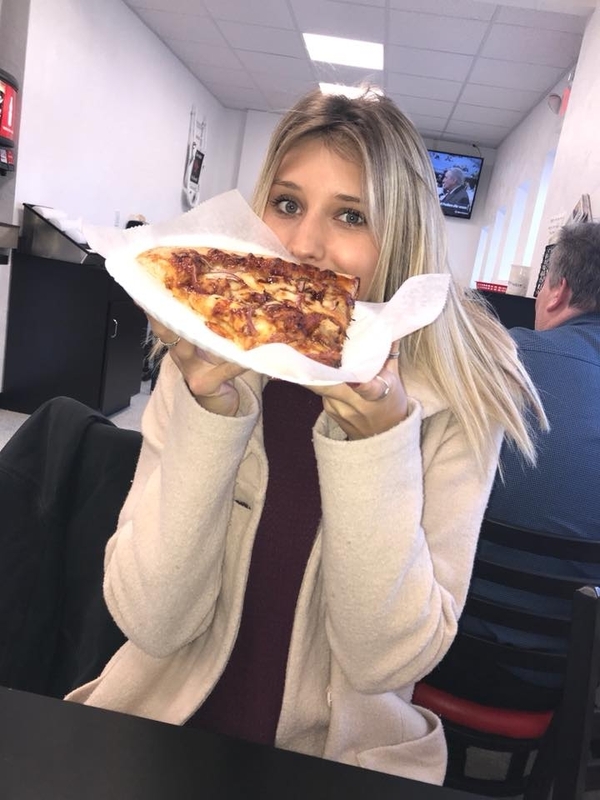 Whether your chatting with your friends discussing Game Of Thrones, or just simply going out for a bite to eat, San Roccos makes you feel like a real MVP. If you have any questions at all about the store, feel free to email the owner at jsantonato@sanroccos.com. Or you can fill out the form below.